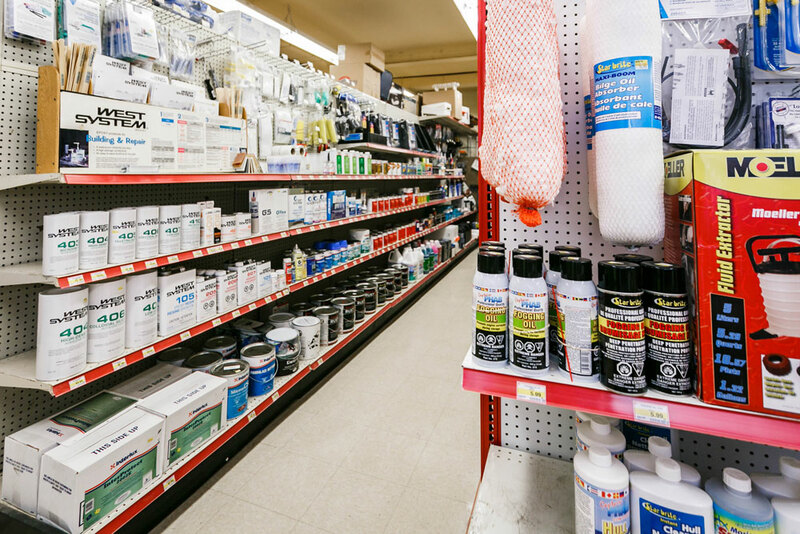 In Barrie, we carry the complete line of West System Epoxy®. WEST SYSTEM® Epoxy is the better choice for repairing fiberglass boats. It has excellent adhesive qualities, wets out fiberglass fabrics and it is tough. It has great thin film cure characteristics, cures in cool temperatures and has a long shelf life. 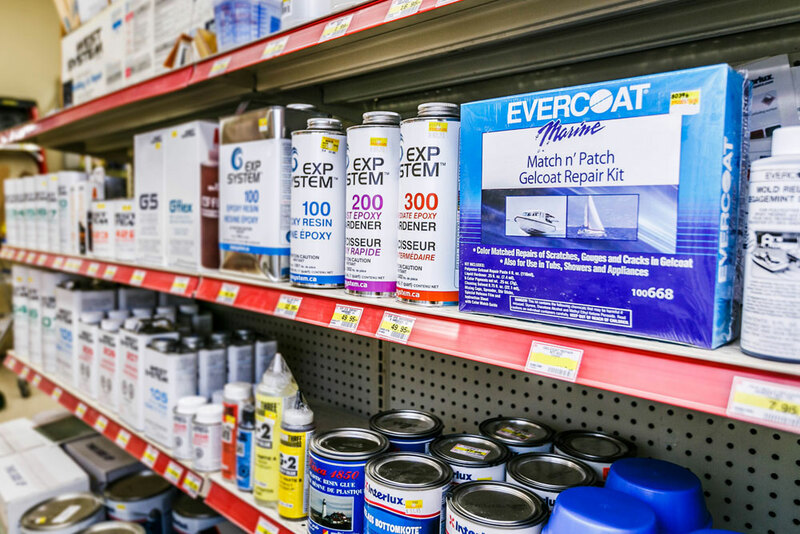 Like thousands of boat owners who have successfully repaired their boats, you can use WEST SYSTEM® epoxy with complete confidence for fiberglass boat repair. 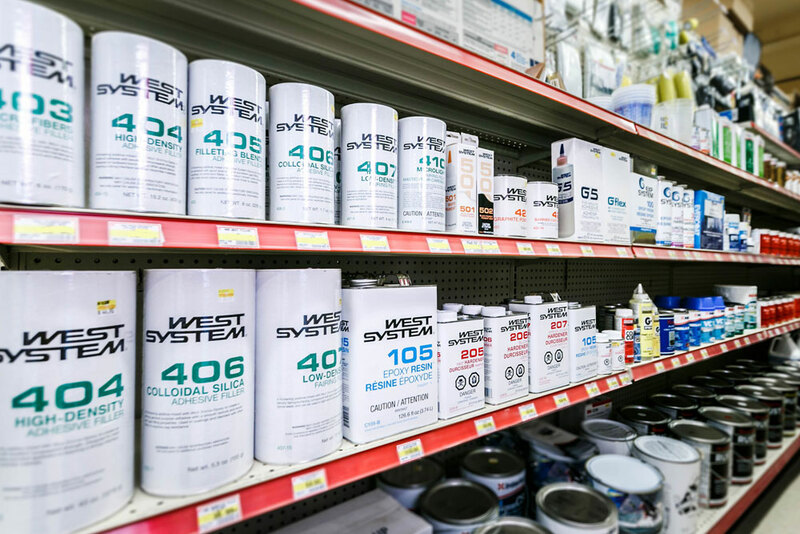 WEST SYSTEM® Epoxy is also perfect for all kinds of building and repair projects. 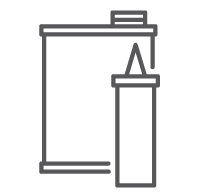 In addition to repairing fiberglass, our resins and hardeners have been used to repair wooden, aluminum boats, build new boats and modify cars and planes. Customers have also be known to use WEST SYSTEM® epoxy for major architectural projects and to repair, maintain and improve their homes.